We love talking to our customers and thrive on being able to give them the best advice and information. Obviously we’ve created this list to answer the most common things that we’re asked in the shop. But we also thought it would be useful in as much as, it might make you think of some things that hadn’t even occurred to you in the build-up to your wedding. If your question is not in this list, then get in touch with us through the Contact page. It’s always advisable to have an appointment as it means you’re not kept waiting, but if you just happen to be in town you can just pop in and if we are free to see you it’s no problem! You do not need an appointment for mother of the bride and occasion wear. › DO YOU CHARGE FOR APPOINTMENTS? We do not charge for appointments. If you wish to cancel an appointment, we require 48 hours notice. › HOW LONG DOES A DRESS TAKE TO ORDER IN? Delivery times vary from 3 to 5 months. If you have a late booking, don’t despair! 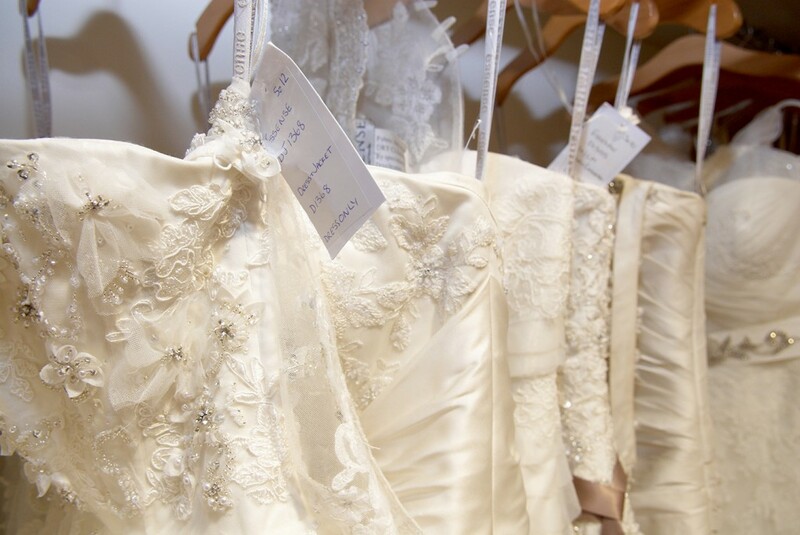 The Wedding Shop has one of the largest collections in Essex, so you can always buy a dress off the peg. And we can often have dresses specially made by designers such as Suzanne Neville. › DO YOU OFFER AN ALTERATION SERVICE? Yes. Here at The Wedding Shop, we pride ourselves on having a first class alteration studio, with over 30 years of experience, to ensure that when you collect your dress it fits perfectly and is beautifully pressed ready to be worn on the big day. › WILL YOU STORE MY DRESS FOR ME? Yes. We are happy to store your dress for you; most brides will leave their dress with us for safe keeping until a few days before the wedding. Using our collect by car service your dress will be brought to your car, all pressed and hanging in a non see-through bag. › I’M GETTING MARRIED ABROAD, HOW CAN I TAKE MY DRESS ON THE PLANE? We have a range of beautiful travel boxes that are especially designed to fit in the overhead lockers and meet all airline requirements. They’re also acid-free so can be used to store your dress long term after the day.